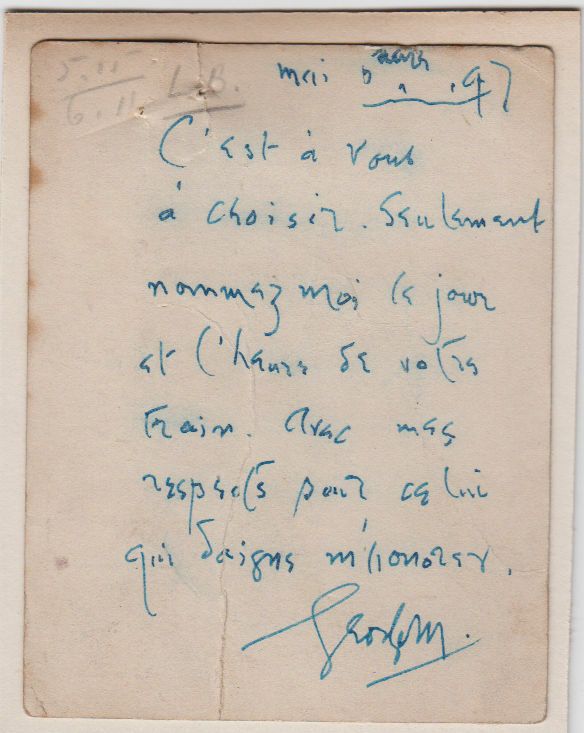 Autograph Postcard Signed ‘George M’, in French, making arrangements to meet: “C’est à vous à choisir …” 4½ x 3½ inches, tears and a pinhole, other blemishes, laid down. May 1897. The uncommon autograph of George Meredith (1828-1909), novelist and poet.